Between 1971 and mid 80s this album was occupying the airwaves of easy listening radio stations through out Europe. These tunes sound different compared to "mainstream" releases and soundtracks. 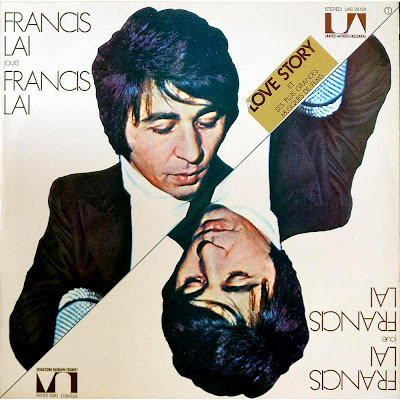 The arranger Christian Gaubert and producer Eddie Adamis made a respectable album by portraying Lai's song the way they ought to be - soft, passionate and seductive with sparse orchestration and occasional high pitched accordion sounds that adds to the emotional anxiety it tries to convey. The real show stopper is "13 Jours en France" where the arranging mastery gives this tune even more romantic and emotional edge. Thank you for the wonderful Lai music, but the link here is not working, any chance of re-up?? Dear Ars Nova, the music displayed here is just as beautiful as music can be, if this is your album I wonder if you have the complete OST for the movie "madly"??? Unfortunately, I don't have that album. Perhaps this spring when I start rummaging through yard and garage sales it may turn up.